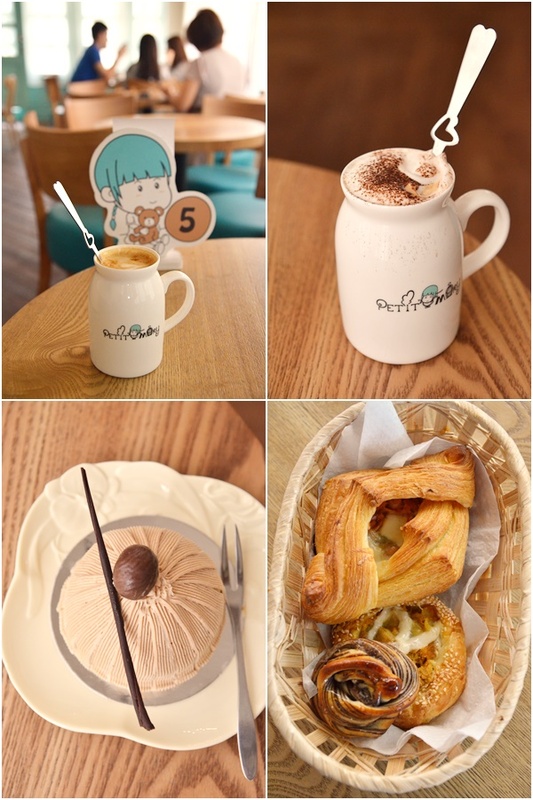 One place to do just that is this baby blue café near AEON Kinta City named Petit Mary Patisserie; a double-storey unit fronting the main road of Jalan Sultan Azlan Shah. The décor may seem a little bit overdone; some may even dub this as another one of those places capitalising on the “cuteness factor” to attract teenagers and the ladies. However, a closer look reveals a menu with a fair bit of substance; especially their array of freshly baked breads and pastries. I have been to Petit Mary a few times, the latest being the Lunar New Year festival earlier this year when the yum cha sessions meant more than just catching up on stories with long lost friends. We went on café hunts, checking in on the most Instagram-worthy spots, and sharing ideas for the next session with friends. And naturally, with a façade that is almost too European for the row of houses repurposed for commerce (a health massage centre and a medical device outlet are but two of them), Petit Mary Patisserie stands out. Its strategic location facing the traffic-heavy main road that leads to the North South Expressway exit makes it even more outstanding. Although you don’t have that many choices when it comes the mains at Petit Mary, they still serve an adequate selection of pastas, soups and sandwiches where the breads such as croissants, pumpkin bread, poppy seed buns and bagels are all freshly baked. However, if you have a sweet tooth, then you’re in luck. Petit Mary’s meticulously decorated, dainty morsels of sweet desserts like their Mont Blanc tart, macarons (including those featuring relatively local flavours like yam and black sesame), and a rather impressive array of pastries (both sweet and savoury) should impress high tea fans. And their coffee served in Petit Mary mugs is a great way to kickstart the day. Traveling a short distance away to the now quieter area of Bandar Baru Medan Ipoh is a café brewing robust coffee from northern Thailand: Doi Chaang Café by Morning Jolt. Their signature Iced Doi Chaang is a smooth blend of coffee, milk and syrup; the strong coffee is a great pick-me-up while the drink is velvety smooth and creamy to the palate. Although the savouries served at Doi Chaang are nothing to shout about, we shared a plate of cocktail sausages wrapped in tortilla and lightly baked, a croissant with ham and cheese and a special Ogura cake infused with blue tea essence. 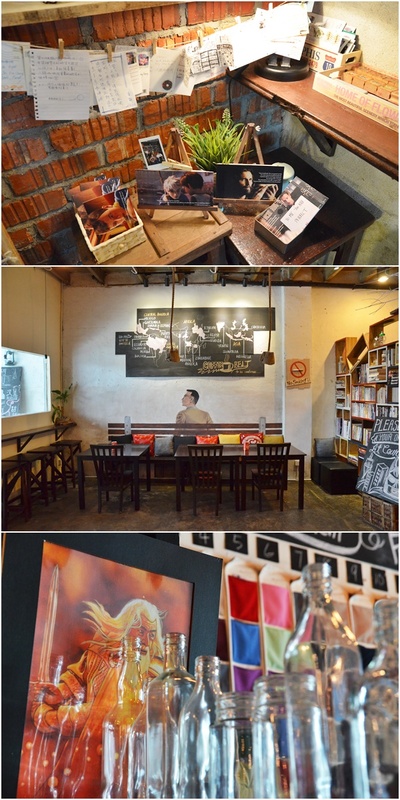 Then there is Café de Eight in Ipoh Old Town, but not near the stretch of hipster cafes near Kong Heng. 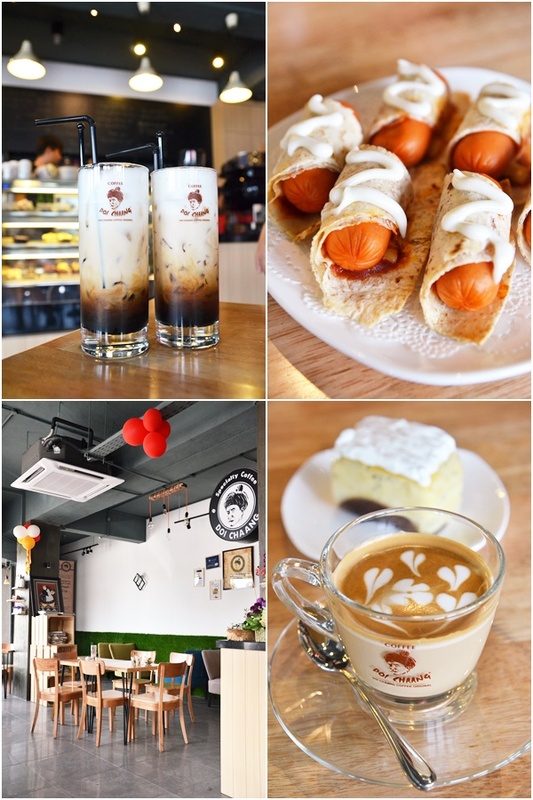 Although still within walking distance, this café is relatively hidden along Jalan Koo Chong Kong, just off Jalan Bandar Timah where the row of traditional white coffee kopitiams are located. 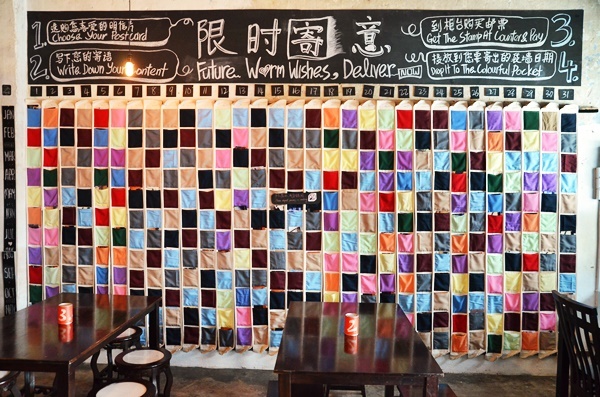 The industrial looking exterior of the café blends in well with the creative use of movie posters (including a recent favourite of mine – The Theory of Everything), and a really colourful collage of hand-sewn cloth pockets for postcards adorning a large part of the interior wall. The concept of posting postcards to be delivered in the future is possibly a first in Ipoh; the pockets are lined across the axis of months against days so that you can send birthday greetings in advance. The selection of food here ranges from various burgers, like their signature Three Little Pigs with homemade pork patties, which are deep fried, and served as sliders between wholemeal buns. The rest of the savouries consists of predictable pastas and sandwiches. However, with smoothies and ice blended beverages named after Marvel comic characters (The Hulk, Doctor Strange, Ant-Man and Wolverine), and a fairly extensive range of coffee and teas, going to Café De Eight for a coffee break on lazy Saturday afternoons sounds good. Although there seems to be no end in sight when it comes to the political bickering in the country, sometimes it makes sense for one to focus on the lighter side of life. Why not take the weekend off, embark on a café hunt and spend some quality time alone? 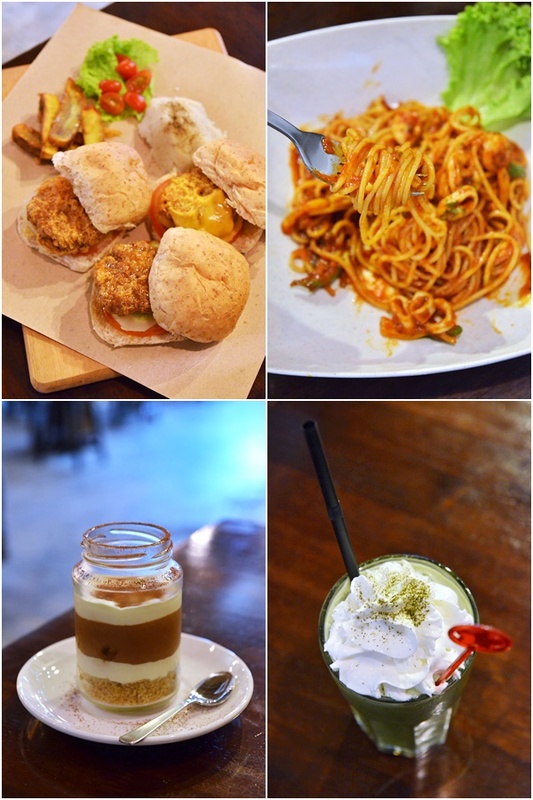 83, Jalan Tasek, Taman Teh Teng Seng, 31400 Ipoh, Perak, Malaysia. 28, Jalan Medan Ipoh 9, Bandar Baru Medan Ipoh, 31400 Ipoh, Perak, Malaysia. 8, Jalan Koo Chong Kong, 30000 Ipoh, Perak, Malaysia. Do you take the pictures in the cafes yourself? They look great! Must make another trip to Ipoh! Been there twice, but only tasted the local delicacies. 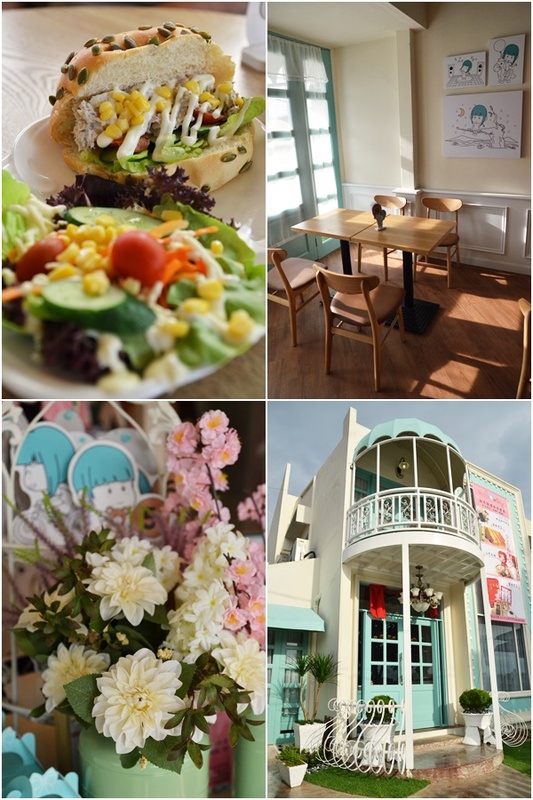 Next time, must try the cafes beside BnGiggles. haha! Thank you! Had my dinner in Café de Eight before, 1000% recommended it! The decor is detail but not overdone. Hidden gem. They have a burgers plate called “3 Little pigs”, very delicious. All the pictures look great. What camera did you use? nice environment in ipoh. if i go to ipoh next month will give it a try. images make me a hungry and would go once for live tasting the foods. You are so lucky to go and enjoy as you like. Love your post!! Perfect preparation.